India and Germany have been strategic partners in many areas, from sustainable urban development, renewable energies, climate change, vocational education and training (VET) to cleaning up the river Ganga. One of the lesser-known areas of collaboration is design. 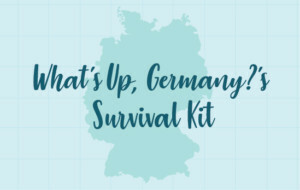 What’s Up, Germany? recollects Indo-German tie-ups in the world of design through the years. If we look at it chronologically, we go back in time to the artist-poet Rabindranath Tagore. In 1919, he founded Kala Bhavana, the fine arts institute at the Visva-Bharati University in Santiniketan. Tagore’s main idea was to open the door to the world and start an exchange of ideas by bringing together scholars and artists from different backgrounds and countries. With this in mind, he invited art historian Stella Kramrisch to teach at Santiniketan. She was instrumental in convincing the Indian Society of Oriental Art to organise a major exhibition in Calcutta that showcased the works of masters from the German Bauhaus design school along with modern Indian artists. This exhibition, held in 1922, included 250 graphic works as well as watercolours, drawings and woodcuts by Johannes Itten, Lyonel Feininger, Wassily Kandinsky and Paul Klee. One wall was dedicated to these avant-garde Bauhaus masters and the other was reserved for Indian painters like Nandalal Bose, Ksitindranath Majumdar, Sunayani Devi, Abanindranath and Gaganendranath Tagore. It drew a huge crowd and was nothing short of revolutionary! Not only was it the largest display of Bauhaus art outside of Europe, it broke down walls by showing two modern art movements under one roof. In 2013, this brave experiment of art and design was celebrated in Dessau, Germany, and will once again be remembered in 2019 during the Bauhaus centenary. Another interesting development was in the year 1930 when Maharaja Yeshwant Rao Holkar brought the talented German architect and designer Eckart Muthesius to Indore. His assignment was to furnish the Manik Bagh Palace’s interiors. Over the next couple of years, Muthesius filled the rooms with geometric carpets, modernist furniture and lighting designed by himself and other European designers like Le Corbusier and Eileen Gray. Moving on to more recent times, in 2010 fashion designer Manish Arora created “Inspired by Mercedes”, a collection of quirky T-shirts and accessories that paid tribute to the German luxury car manufacturer Mercedes-Benz. In the same year, the designer duo Shantanu & Nikhil brought out an exclusive line of sportswear called S&N for adidas Style Essentials. Fresh and young, the shoes, accessories and clothes were inspired by the black and yellow colours of the taxi! Actress Deepika Padukone walked the ramp at the Lakmé Fashion Week Summer/Resort 2010 in S&N black shorts and a yellow-and-black striped tee. Model Sheela Tiruchi is another Indo-German success story. Born and brought up in Berlin, this Tamilian beauty’s heart beats for both Germany and India! She has modelled in Berlin and Mumbai, and has even shared the catwalk with Milla Jovovich! A trained dancer and MBA degree-holder, Sheela now lives in Mumbai, where she keeps busy with many things apart from modelling! In 2018, product designer and former national-level cyclist Nikita Bhate and German designer Pascal Hien met during a scholarship programme in Italy and instantly connected over their shared love for forgotten crafts. The result? “Reclaimed Stories”, a collection of five signature pieces of furniture that blends Indian design with German aesthetics. This successful collaboration is another high five to Indo-German ties in design! This is a good platform for young designers of both countries to share their knowledge and experience through dialogue and interaction.